Shadia Abdelmoneim has no doubts: the main problem facing women in Sudan (both North and South) is the Islamic State. The two Kurdish women politicians have been in prison for two years. The Conference ‘Revolution in the Making’ has enjoyed the participation of over 500 women from around the world. Kongreya Star has established 73 women’s communes during the month of September in Til Hemis town of Heseke governorate in Cizire Region of Northern Syria. Mother Hediye tried to live the nomadic culture in the middle of the city. What made Hediye so attractive was her authoritarian personality, attachment to her country and her culture. ​​​​​​​Mary Joan Guan talked to ANF about the women's struggle in her country and the need to build a women network. Women from all over the world are not only sharing their experience but also trying to create a network. The Shengal Democratic Autonomous Council commended the Nobel Peace Prize awarded to Nadia Murad. “We must not only imagine a better future for women, children and persecuted minorities, we must work consistently to make it happen - prioritizing humanity, not war”. Over 500 women are attending the women’s international conference in Frankfurt, Germany. Everything is set for the International Women’s Conference to be held in Frankfurt on Saturday and Sunday. MSD Women’s Organization has opened an office in Serekaniye. The Free Women’s Foundation and Kongreya Star have developed several projects for the organization of women in the Hawl Camp where migrants forced from their lands due to barbaric gang attacks settled. Protests are being organised on 9 October in Brussels and Strasbourg to mark the 20th anniversary of the International Conspiracy which led to the capture of Abdullah Ocalan. 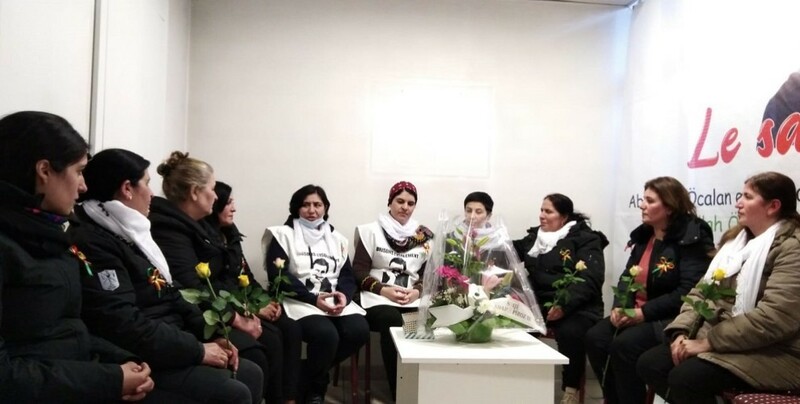 The women of Shehba protested the isolation imposed upon Öcalan and the recent ECHR verdict ignoring torture against Öcalan. Kongreya Star continues the fight against child marriages and polygamy. 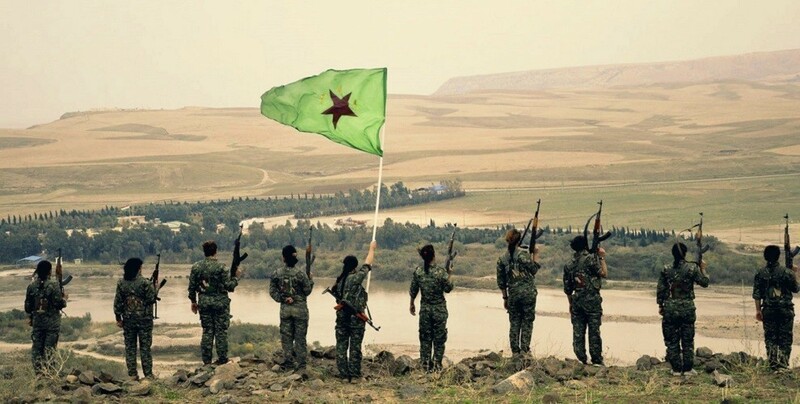 32 new YPJ fighters are being trained at the "Martyr Rojda Minbic" Academy in northern Syria. Everything is set for the International Women’s Conference to be held in Frankfurt on 6 and 7 October. 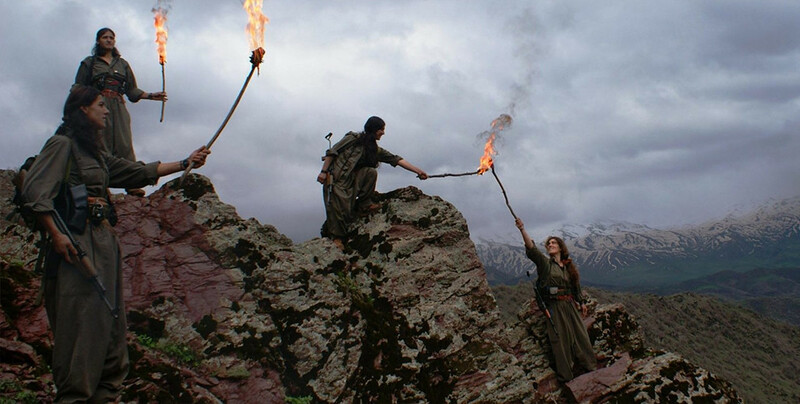 "We do not need a boss"
With their tailoring Elif Değer and Fatma Ekinci fight in Cizre against patriarchal ways of thinking. "We do not need a boss for our work," the two women explain. In the Italian city of Milan, the third volume of "My whole life was a fight" by Sakine Cansiz was launched. Guerrilla Tijda Ekecik joined the Kurdish liberation movement from Holland when an MIT agent murdered three Kurdish revolutionaries in Paris. In northern Syria, a campaign against child marriages has been launched. At activities in Hesekê and Tabqa, childhood marriage was denounced as a major social problem. Liadh Ni Riada is the youngest daughter of the Irish iconic composer and musician, Sean O'Riada.